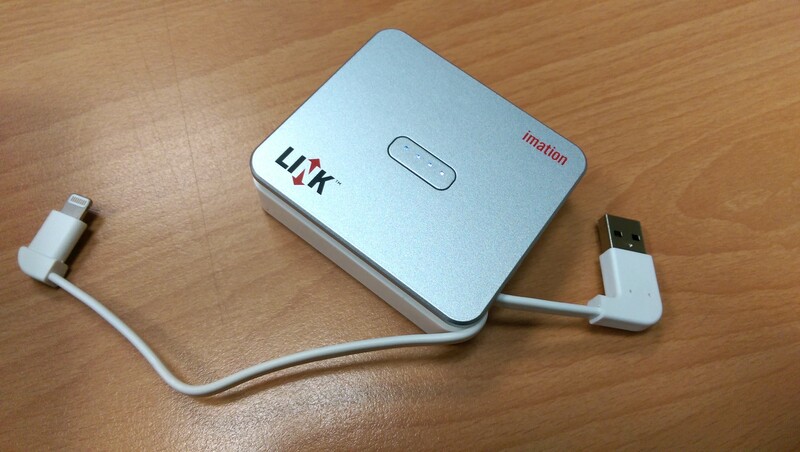 Imation LINK Power Drive is a new device for flash storage and battery-charging capabilities together in a single unit for the iPhone and other iOS devices. 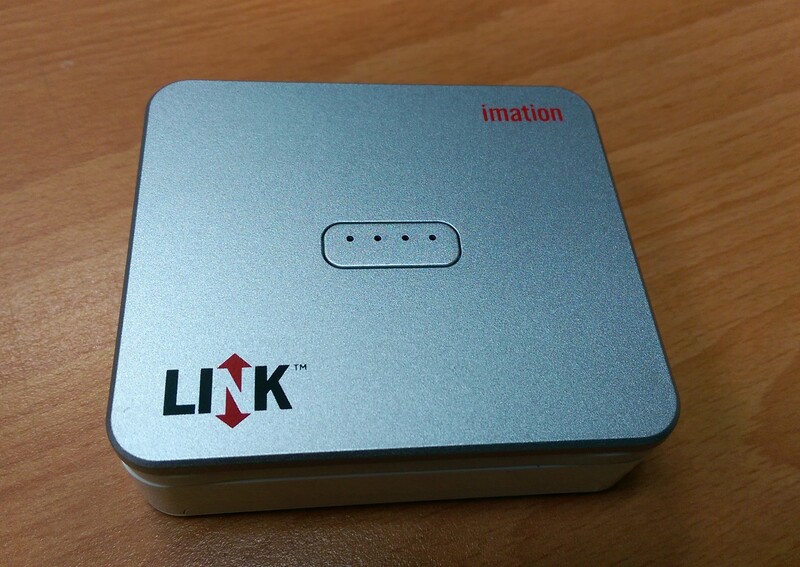 The new Imation LINK Power Drive was designed to address some common headaches users experience in the mobile phone and tablet market—running out of power and memory. Studies show that a long-lasting battery is one of the most desired smartphone features and the majority of users quickly fill the internal storage capacity of their devices. Imation clearly addresses these issues, offering a reliable power supply and the ability to safely and easily move photos, videos and other data off an iPhone in one convenient device. 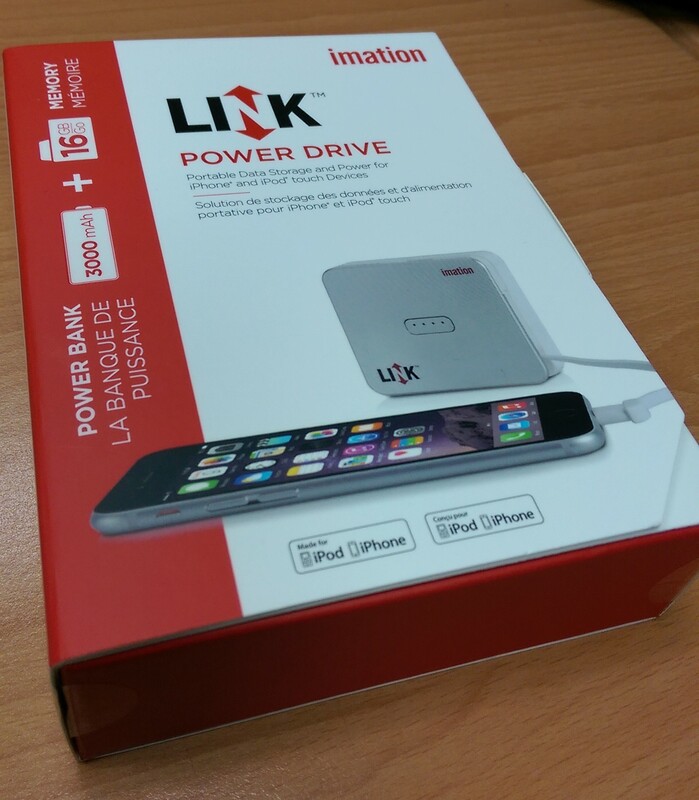 The Imation LINK Power Drive offers a reliable charging source for someone on the go. Its 3,000 mAh-rechargeable battery refreshes the iPhone and iPod touch, saving users the hassle of locating power outlets. 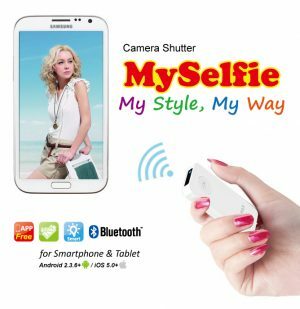 In addition, it provides the added convenience—even while recharging—of streaming photos, videos and endless hours of music to and from an iPhone and the Imation LINK Power Drive. With its light weight and compact size, the drive fits easily in a bag or purse. 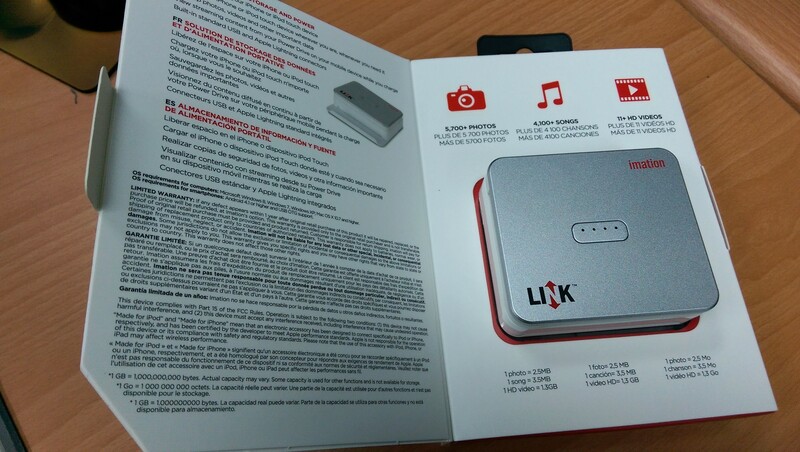 The LINK definitely looks like an ordinary power bank — with its square form factor, thick sides, and a button on its face with LED lights that show how much battery is left when pressed. Two cables are attached and wrapped around the gadget in a crevice that hides them stealthily — a USB cable and a Lightning cable. The former connects to the computer for transferring files while the latter connects to any Lightning-compatible devices.